Equine practitioners can now provide more complete onsite treatments from diagnoses obtained with maximum image quality and workflow efficiency for a more positive customer experience. 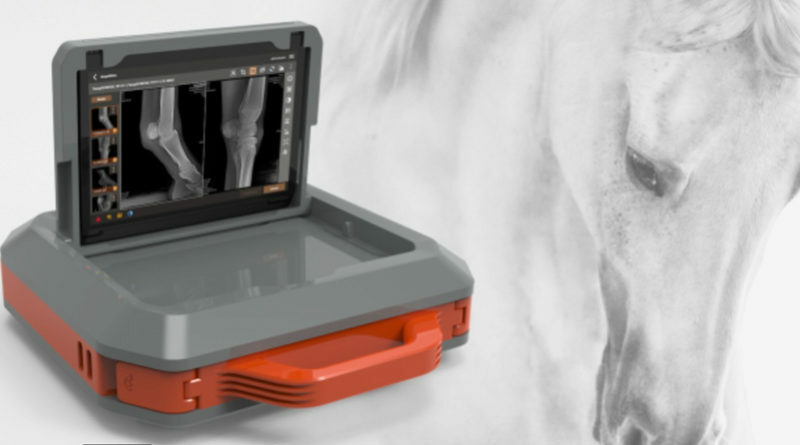 MyVet Imaging will release at the 2018 NEAEP convention (Saratoga Springs, New York) its new Citation portable digital equine imaging system that includes a 10 inch by 12 inch flat panel DR detector and tablet PC with detachable keyboard and all contained in a lightweight, durable case. An optional 4 inch by 6 inch equine intraoral CMOS sensor and a ultrasound transducer with a USB connector round out the image offering. The tablet PC is configured to provide maximum clinical information with a proprietary, equine-specific image processing algorithm for both the CMOS sensor and DR flat panel detector that includes contrast-enhancing image processing. 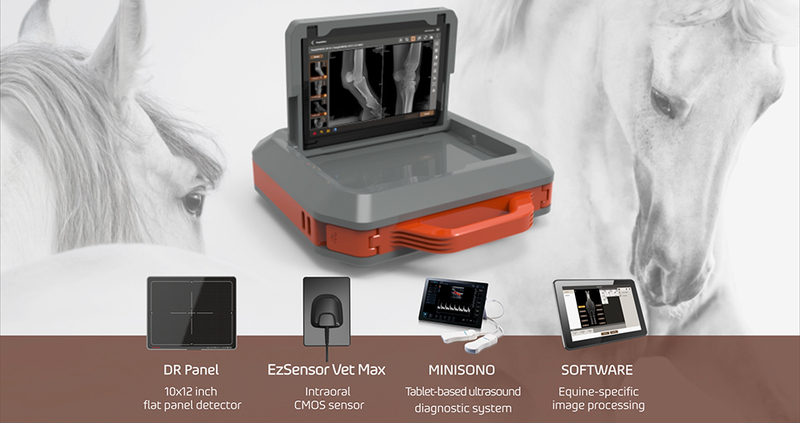 The tablet-based platform also supports dedicated ultrasound software that places all the essential imaging tools an equine practitioner needs right in their hands as they travel from site to site diagnosing and treating horses. MyVet Imaging is displaying this new equine digital imaging system at Booth #42 during the convention. “Citation can provide better diagnostic accuracy because of its dedicated image processing,” stated Bill Nicholas, MyVet Imaging Director of Marketing. “Centralizing it in one portable package makes Citation an attractive solution to mobile equine practitioners!” he added. ← Now it’s Time to Make Your Practice Grow!